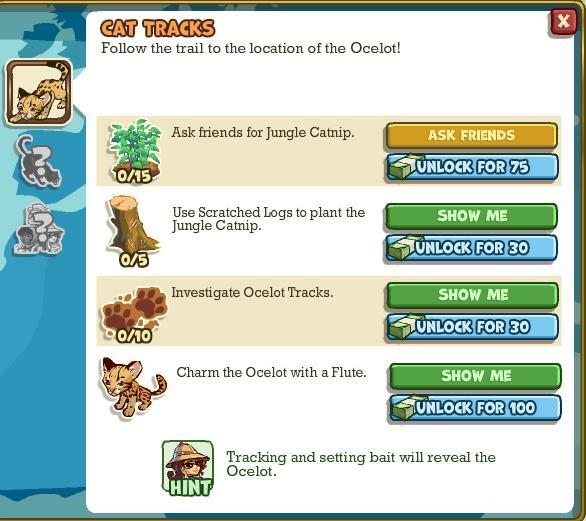 You start on the right side of the map, follow the sets of paw prints in the left direction, in circle. 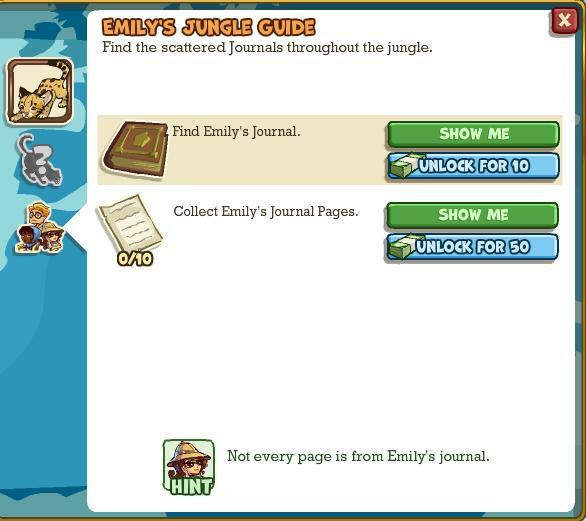 Ask your friends for Jungle Catnip and I suggest to do this map only when you have gathered 14 of those (1 is on the map). You need to use the scratched logs by your way. Also, at the end of all you will be able to see and to charm the Ocelot. 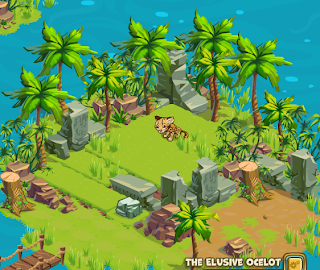 When you have gathered all the items, blown all three ram horns, received all the jungle catnip from your neighbors and used all in the scratched logs, the Ocelot will appear in the center island. 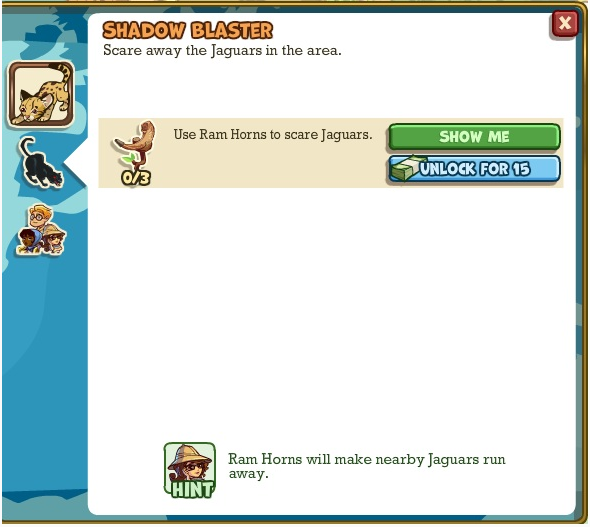 If all is done and the animal has still not appeared – refresh your game. 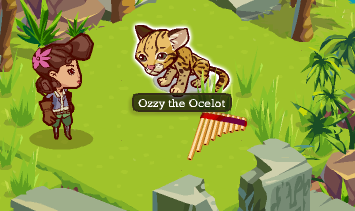 Click on the Ocelot and if you have a flute in your inventory it will blow automatically, if you don't have one in your inventory already, it pops up "Requires Flute" with the options to buy one. Use the flute to lure him back to your base camp with you. Once you complete this expedition, you will need to place the ocelot to finish the quest. You can find the creature in Emily's Zoology tent.